Ireland’s music scene is more vibrant than ever with young bands emerging from everywhere, but not many sound like Waterford’s own Provisions. The quartet are writing and playing some of the heaviest music to come out of Ireland in a very long time. With influences being drawn from the like of While She Sleeps and The Ghost Inside, this is a band that is not afraid to push the boundaries and if anything, completely bulldozes these ‘boundaries’. November saw the release of the band’s debut EP Lost; six tracks which are most definitely not for the faint-hearted. The EP opens with title track Lost, which sets the tone for the rest of the EP. From the word go, it’s heavy but equally as emotional. Around halfway through the EP, we’re introduced to the emotional climax of the entire EP in the form of ‘Moments’, a very While She Sleeps-style song, with much gentler guitar parts and simple rhythms eventually erupting and setting up fourth track ‘Ambition’. ‘Ambition’ is without a doubt a personal favourite from Lost, with some of the heaviest vocals of the EP, but is also one of the rawest and heaviest songs to come out of Ireland in quite some time. The EP is brought to a close on ‘Hope’, which leaves the listener with something to remember and something to look forward to. Hope, indeed. Something also quite rare for a band is to sound just as good live as they do on their recordings, which Provisions do with absolute ease. Lost screams heavy, with thunderous rhythms and raging melodies. 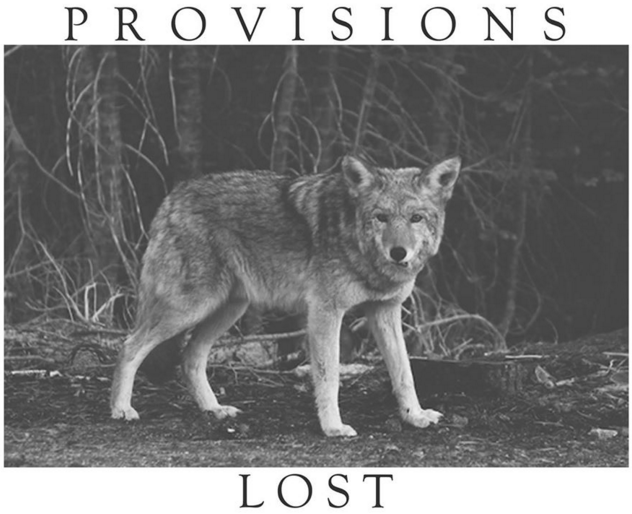 With the band already in the middle of writing their second EP, Provisions are most definitely a band to keep an eye on in the near future, and are certainly not a force to be reckoned with. The EP is available for download from the band’s Bandcamp.